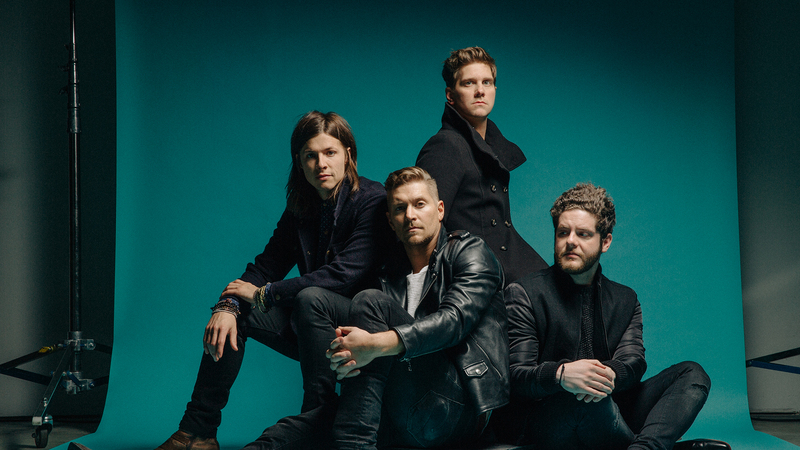 Attention NEEDTOBREATHE fans: this September, the Grammy nominated four-piece will embark on their ALL THE FEELS tour, bringing their latest LP, H A R D L O V E, to cities nationwide. The rockers wanted to do something different this time around, though, revealing that the tour will be broken into three parts: shows under the stars, performances at famous rock clubs, and acoustic sets at intimate American theaters. The first leg will kick off on September 16 at the Mud Island Amphitheatre, a 5,000-seat venue in Memphis. The South Carolina natives will bring the show to other open-air venues across the country, including the iconic Red Rocks Amphitheater in Denver and Zoo Amphitheatre in Oklahoma City. The cherry on top? All seven, outdoor dates will be supported by "Brother" collaborator, Gavin DeGraw. The second part is made up of shows in some of the band’s favorite rock venues in the States, such as the 9:30 Club in Washington DC, the House of Blues in Chicago, and The NorVa in Norfolk. According to the “HARD LOVE” performers, fans can expect some of their longest sets to date at these shows. 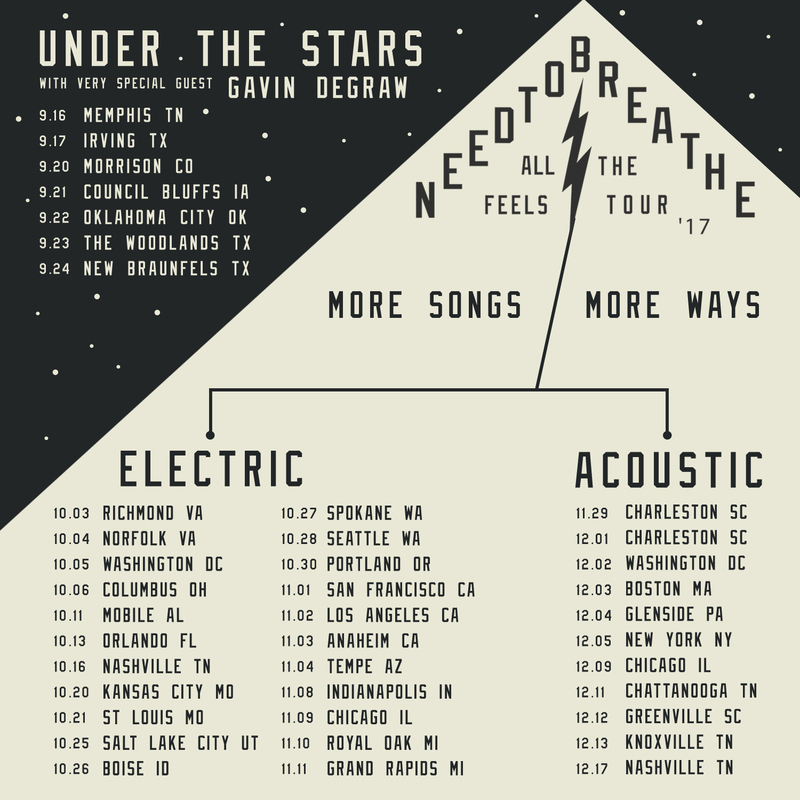 For the final leg of this tour, NEEDTOBREATHE have announced something very special—their first-ever acoustic tour. These intimate shows will take place in 11 notable theaters along the East Coast like Boston’s Wilbur Theater and Nashville's Ryman Auditorium. To lock down tickets to see the "HAPPINESS" musicians on this sure-to-be-epic run, use our exclusive pre-sale code below, then make sure to Track NEEDTOBREATHE on Bandsintown to stay up-to-date with all their touring news! You can snag tickets with our EXCLUSIVE Bandsintown pre-sale from Wednesday April 26 at 10:00 a.m. local to Thursday April 27 at 10:00 p.m. local time. All ticket info can be found here, and you must use the code BANDSINTOWN for exclusive pre-sale access!